Reiki Healing Sessions and Reiki Training with a Reiki Master. Honoured to be apart of the Canadian Reiki Association Delegation demonstrating Reiki at McMaster University (2nd Year Health Studies Undergraduate class) in Hamilton ON. Reiki is healing energy, where a practitioner channels the universal life force energy to an area where healing is needed most. Reiki energy works on the whole person aligning and balancing the physical, mental, emotional and spiritual bodies; As well as balancing your chakras. When you are in balance, your own energy is able to move freely through your spirit and body. During the session, you will comfortably be lying on a massage table fully clothed, with ample pillows and blankets to ensure your comfort throughout the treatment. Music and beeswax candles set the tone of the session for one of peaceful rejuvenation. The session consists of me placing my hands lightly on the body, if you prefer no touch, my hands can hover over the body. I follow the Canadian Reiki Association's Code of Ethics for Ethical Behaviour. I offer Kundalini Reiki Training, please refer to the Kundalini Reiki Workshop page for further information. To book a Reiki healing session or for a Kundalini Reiki training workshop opportunity, please Contact me via this website. Experienced in Holding Corporate Reiki Healing Sessions. 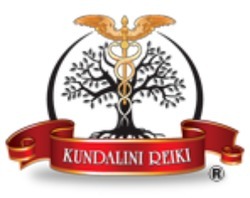 I am listed within the Kundalini Reiki Directory (kundalinireki.ca).